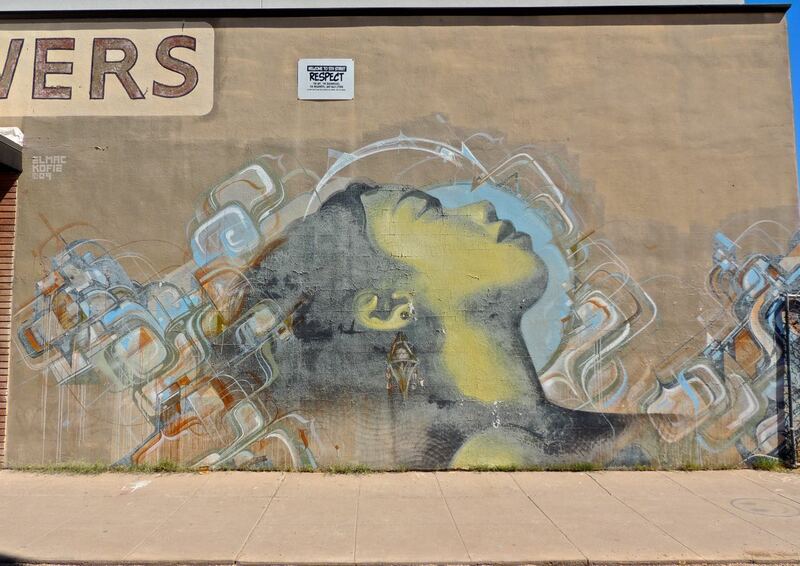 This mural is found in the Roosevelt Row Arts District in downtown Phoenix. It was painted by artist El Mac along with Augustine Kofie. 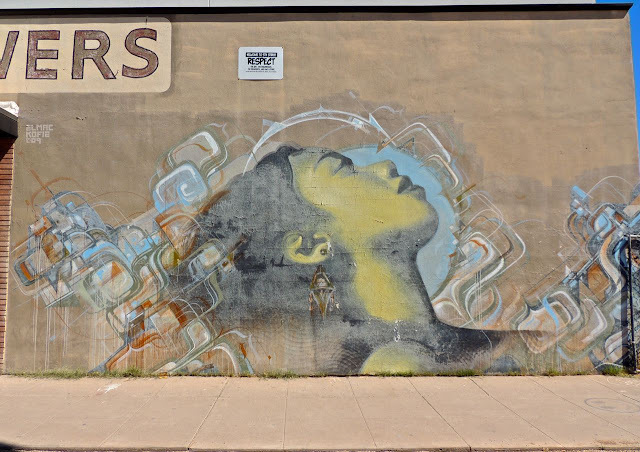 El Mac's murals are mostly portraits of people and many have this dreamy look to them. I'll have to feature some more of them in the future. Check Sami's Colorful World to see more Monday Murals. Interesting. Certainly different from other murals. Oh this one is wonderful! It's kind of calming to look at. It's a lovely mural Sharon. Thanks for contributing. Looks like it's been there a while -- it's dated '09. I'm impressed it's lasted that long without being graffitied over!